Three women find an unexpected sisterhood in this perfect beach read from the USA Today bestselling author of Best Beach Ever. Madeline, Avery, and Nikki are strangers to each other, but they have one thing in common. They each wake up one morning to discover that their life savings have vanished along with their trusted financial manager—leaving them with nothing but co-ownership of a ramshackle beachfront house. “A fast-paced, optimistic beach read . . . [the] focus of this novel is friendship, independence, and tenacity. A lovely multi-generational sub-plot runs throughout . . . satisfying details about the transformation of the mansion along the way . . . I enjoyed it.” –Book Club Classic! NEW YORK—Federal investigators raided the offices of Malcolm Dyer, head of Synergy Investments in New York City this morning. Dyer is suspected of conducting an elaborate Ponzi scheme, similar to that employed by Mr. Madoff, and of bilking some three hundred clients of more than three hundred million dollars. Investors, who believed their money was being put in bank-secured CDs with double-digit yields, were, in fact, funding Mr. Dyer’s lavish lifestyle, which included a private jet, a seventy-eight-foot motor yacht, and homes in Westchester, Palm Springs, Palm Beach, Florida’s Gulf Coast, and the Caribbean island where the alleged securitizing bank was allegedly located. For at least five years, investors did receive the promised returns, which were apparently paid out of successive investors’ deposits, rather than the nonexistent CDs. When clients, faced with a faltering economy and plummeting stock prices, requested their principal back, the scheme was uncovered. Though she was careful not to show it, Madeline Singer did not fall apart when her youngest child left for college. In the Atlanta suburb where she lived, women wilted all around her. Tears fell. Antidepressants were prescribed. Her friends, lost and adrift, no longer recognized themselves without children to care for. A collective amnesia descended, wiping out all the memories of teenaged angst and acts of hostility that had preceded their children’s departures, much as the remembered pain of childbirth had been washed away once the newborn was placed in their arms. Madeline kept waiting for the emptiness of her nest to smite her. She loved her children and had loved being a stay-at-home mother, but while she waited for the crushing blow, she took care of all the things that she’d never found time for while Kyra and Andrew were still at home. Throughout that fall while her friends went for therapy, shared long liquid lunches, and did furtive drive-bys and drop-ins to the high school where they’d logged so many volunteer hours, Madeline happily responded to her children’s phone calls and texts, but she also put twenty years’ worth of pictures into photo albums. Then she cleaned out the basement storage unit and each successive floor of their house, purging and sorting until the clutter that had always threatened to consume them was finally and completely vanquished. After that she threw herself into the holidays and the mad rush of shopping and cooking and entertaining, trying her best not to let the free-falling economy dampen the family festivities. Andrew came home from Vanderbilt and Kyra, fresh out of Berkeley’s film school and two months into her first feature film shoot, arrived in the first flush of adulthood and once again became the center of the known universe. Pushing aside daydreams of the projects she’d undertake once they were gone again, Madeline fed her children and their friends, made herself available when their friends weren’t, and didn’t even react to the fact that she was barely an appendage to their lives. Steve, who loved the trappings of a family Christmas with the ferocity of an only child, seemed worried and distracted, but when she raised the subject he found a way to change or avoid it. While basting the turkey on Christmas Day, Madeline realized that she was more than ready for her husband to go back to the office and for her children to go back to their new lives so that she could finally begin her own. 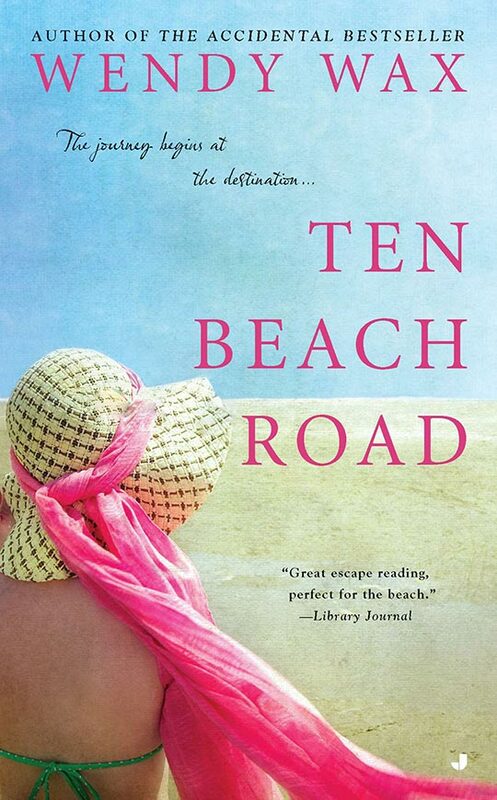 Download a printable discussion guide for Ten Beach Road. 1. At the very start of the novel, Madeline’s world is crashing down around her—an empty nest, the shocking news of her mother-in-law’s accident and move, Steve’s unemployment, and her daughter’s pregnancy. How does this set the stage for the rest of what Madeline undergoes in the book? Do these challenges force her to become more adaptive, stronger? Do you think she did the right thing by leaving her husband and Edna behind during a complicated and emotionally volatile situation? 2. Could you relate to Madeline’s frustration at the slow economy—or Steve’s reluctance to act and crushing depression? What would you have done in Maddie’s position? How does Maddie resist the temptation to let everything fall to pieces? 3. How does Malcolm Dyer’s Ponzi scheme frame the events of the book? How does this crisis tie the characters together? 4. Which woman’s struggles—Madeline’s, Avery’s, or Nicole’s—did you identify with the most? What does Bella Flora mean to each of them, and how does this change over the course of the novel? 5. Do you think Nicole had an ethical obligation to share her information on Malcolm with the authorities? Even after he destroyed her livelihood and wiped out her life savings, why does she hesitate? What changes in Nicole’s heart about helping bring her brother to justice? What influences her decision, or trumps her protective sibling nature? 6. How would you describe Avery and Deirdre’s relationship? How is it similar to that of Kyra and Maddie’s? How do these mother-daughter relationships evolve over the course of their stay at Bella Flora? What are the catalyst events? 7. 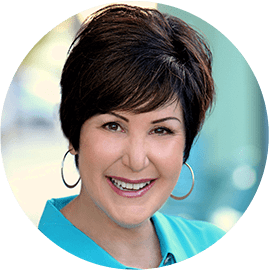 Each woman finds herself at a breakthrough point as the renovation comes to a close, where she finds she is able to speak her deepest feelings and act more boldly. What are these moments for each, and what are the ramifications? 8. Were you shocked by Deirdre’s ulterior motives and her role as the publicity leak? Did you hope that she would have a change of heart and work to reconcile with her daughter? 9. Do you think the women were right to be outraged and to exile Nicole after learning the truth about her relationship to Malcolm and her lack of disclosure? How would you have reacted? When do you think an appropriate time would have been to share this information—and how do you think it would have affected the bond the women felt? 10. Were you surprised by Daniel Deranian’s sudden appearance? Do you think Kyra made the right choice? What led to her decision? How does Maddie’s attitude influence this? 11. What motivated Steve’s appearance at Bella Flora, his reformed behavior, and pledge to wellness? Could you have forgiven such bad behavior in a time of family crisis? 12. How do you think the second set of renovations will go at Bella Flora? How will the lessons learned over the summer set the team up?